Acupuncture is a key component of traditional Chinese medicine that balances the flow of Qi throughout the body. 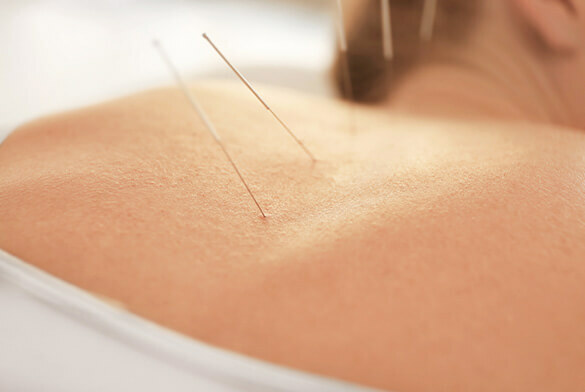 Acupuncture therapy utilizes sterile, tiny, thin needles to promote natural healing and energy flow within the body. These needles are placed into the skin at various parts of the body to treat a wide variety of symptoms and conditions. And yes, it is typically pain-free. People are often shocked by the extent of acupuncture’s healing benefits. They include, but are not limited to, the following. One of the most common reasons our clients seek acupuncture therapy is for pain management. Whether you suffer from chronic muscle pain, arthritis or anything between, acupuncture can help. 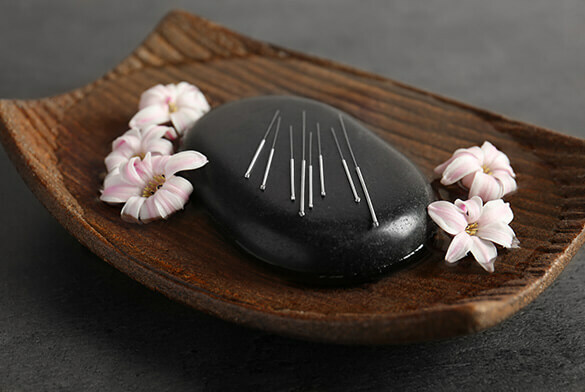 While acupuncture therapy treats your physical body, the relaxation and free flow of energy that it promotes can help heal your mind and spirit in the process. Many first-time clients are nervous about receiving acupuncture, then proceed to fall asleep during their session as they find it to be profoundly relaxing. 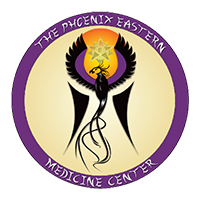 Phoenix Eastern Medicine Center serves as an oasis for healing from the stressors in your life. Overcoming addiction is a long, painful journey with cravings, withdrawals and other effects. Acupuncture enables you to conquer your vices by treating symptoms as well as the underlying causes of addiction and keeping them at bay. It’s difficult to prevent migraines and headaches solely with Western medicine. Most medications are intended to treat them after they occur. 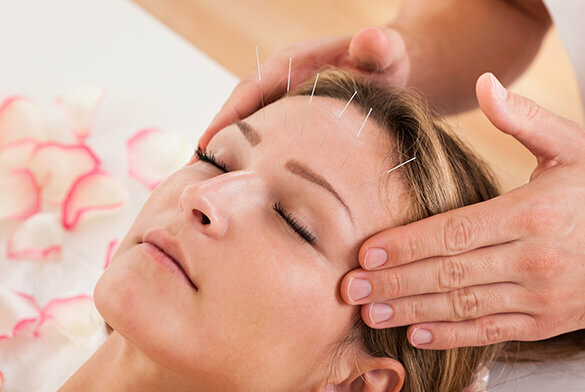 Acupuncture is both a preventative measure and a type of treatment for migraines. Sleep aids and over-the-counter medications often come with undesirable side effects. Acupuncture serves as a natural, holistic way to promote deep, restful sleep. Above are just a few of the most common reasons people seek acupuncture therapy. If you are also suffering from any other issue or condition, we encourage you to consult with us. 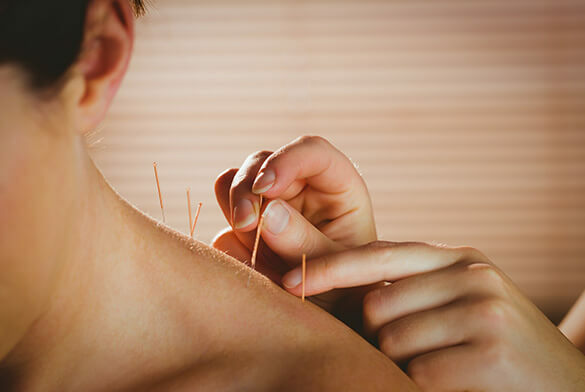 The licensed acupuncturists at PEMC have aided clients with issues ranging from allergies to impotence to chemotherapy recovery. Chances are, acupuncture will benefit your overall well-being. We understand that acupuncture is intimidating for most people. While the exact process may differ depending on your unique situation, it often goes as follows. Acupuncture therapy at Phoenix Eastern Medicine Center begins with a consultation. Each and every client is unique, and we like to understand your background before treatment begins. This isn’t a formal, Western medicine consultation that involves testing and bloodwork. It’s simply a verbal conversation. After your verbal assessment, our acupuncturists may ask to feel your pulse or look at your tongue. These techniques have been used for thousands of years to diagnose blocked energy flow and understand how to customize your acupuncture session to promote deep healing. We believe that acupuncture doesn’t have to be painful to work. As a result, we place tiny, thin needles gently into your skin at the part of your body that corresponds to what’s ailing you. Even the most anxious patients relax quickly—relaxation is an unavoidable effect of acupuncture! The healing powers of acupuncture are truly tangible both during and after your session. During your session, you may feel emotional, and we encourage you to relax and let our environment alleviate your emotional state. Afterwards, you may feel deeply relaxed and more in-tune with your body and spirit. Being poked by needles is not exciting to most people. We understand that the idea of applying needles can be off-putting, but there is an alternative. Phoenix Eastern Medicine Center also offers acupressure, which involves a small device known as a Tei-Shin or Shoni-Shin that rolls over and kneads the skin to provide similar benefits to acupuncture. Though not as potent as an acupuncture treatment, it is perfect for babies, children and adults who are simply uncomfortable with needles. This form of therapy has gained popularity over the course of the last several years as seen during the 2016 Olympics. 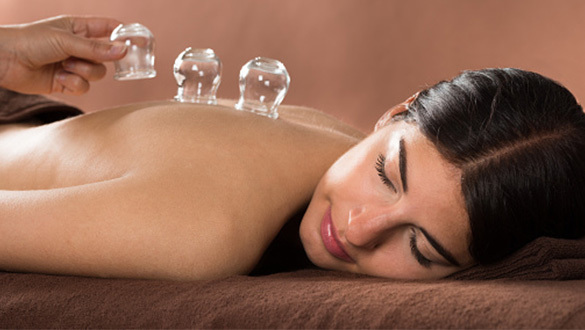 Cupping involves warming and placing glass cups onto the skin. This loosens the fascia (connective tissue) so blood can flow unobstructed and healing can occur exponentially faster. 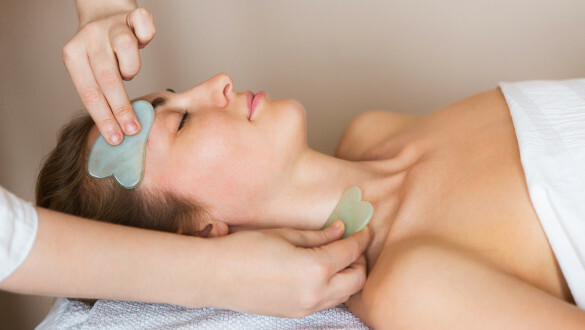 Gua Sha is another ancient technique similar to acupuncture. It involves the application of smooth jade/stone tool to a problem area to relieve muscle and joint pain. It also successfully treats colds and the flu by rubbing along the affected channel. Rest, relax and heal with acupuncture.